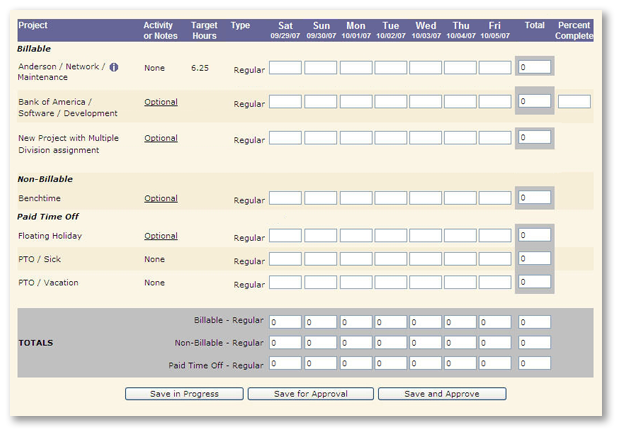 This page is where employees enter time. 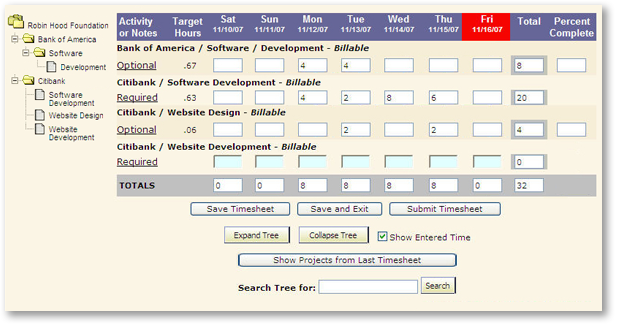 They may enter time as billable, non-billable, paid time off, and whether the hours were regular or overtime. 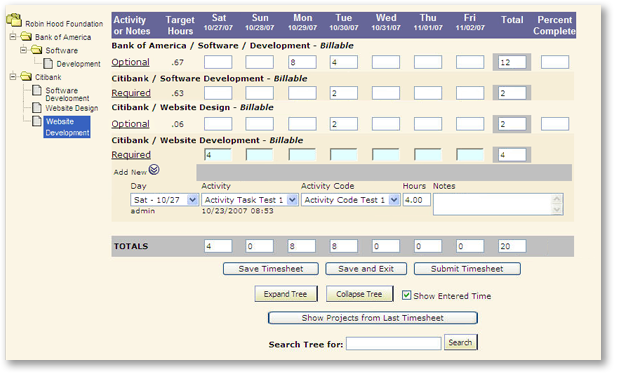 Each timesheet view is customizable to meet the needs of each company, supervisor, or employee.